It worked for Sameer Mehta of 12Society, a startup that sends boxes of goodies hand-picked by Nas, Nick Cannon, and four pro athletes. Sameer Mehta is the cofounder and CEO of 12Society, a men’s lifestyle company that sends a box full of goodies each week that are hand-picked by a panel of stylish celebrities. (The company’s first box landed two weeks ago, and contained, among other things, a razor, a watch, on-ear headphones, shaving cream, iPhone cases, and hot sauce.) The company’s first shipment sold out, propelling 12Society to profitability right out of the starting gate. We caught up with Mehta as he readied the second round of boxes for shipment this week. SAMEER MEHTA: It’s a lifestyle subscription model. We have six celebrities pick six of their favorite products every month–electronics, gadgets, headphones, wallets, accessories, clothing. The cost is $39 a month, but the retail value is $125 for each box. How can you push that margin down so low? We consider our brands clients. Brands give us the product to put in the box–sometimes for free–and in return, we give them our celebrity marketing platform. We think of it as a “microendorsement.” A lot of brands can’t afford that million-dollar Gatorade deal, but tons of brands could leverage themselves using our celebrity assets. This is a way to get that celebrity association without spending millions of dollars. 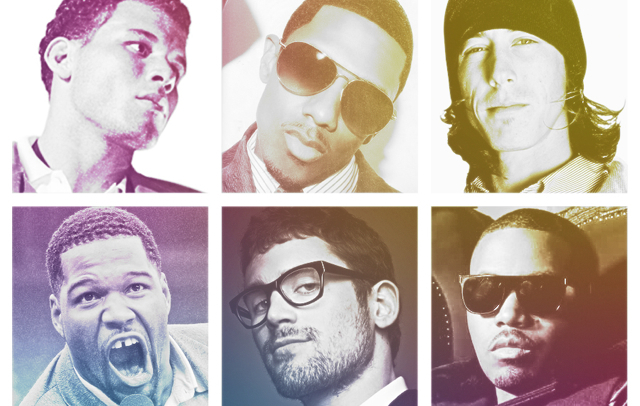 You’ve got six celebrities on board–pro athletes Tim Lincecum, Blake Griffin, Michael Strahan, and Kevin Love, plus actor Nick Cannon and the rapper Nas. Did you just cold call these guys? It was a little bit like that. We cold called a ton of different agencies. I’m originally from San Francisco, so I’ve always been a big fan of Tim Lincecum. Tim understood the model and the space. In e-commerce right now, he saw the need for this male lifestyle version. He doesn’t have tons of brands to work with, because he mostly shies away and focuses on his game, so he saw this as a way to open up and be connected to a lot of brands. The second one we signed was Nick Cannon. Cannon was friends with Michael Strahan, and Strahan was friends with Griffin, and the rest snowballed in. You call these guys co-founders. Are they really, in a meaningful sense? Yes. We approached these guys not just as a regular endorsement deal. We wanted these guys to be involved at the cofounder level. A lot of these guys have equity in the company in a similar amount to me and my cofounder, with essentially almost the same payout. We wanted this to be a platform by all of us combined. But in an age where athletes outsource their Twittering, how much time are these guys really putting in? All the celebrities have a day job, but we do have weekly and monthly strategy meetings. It really is their company, so not only is their name on the line, but a company they own is on the line. With each celebrity it’s different, and it varies by the season and timing, but we want to see anywhere between five to ten hours per week coming into the company, not only in strategy meeting but in writing content for the blog and for social media, and in picking up the phone and getting access to brands. Would you take on other celebrities to the style board in the future? Have any others reached out? We’ve had tons of folks reach out, and are getting calls from agents and celebrities themselves. We’ll take every new celebrity that wants to join on a case-by-case basis. I do love that. It’s a personal dream to work with these athletes.